It’s a little confusing, but as I said (or, will say, rather) in the quesadilla post, you may want to access these recipes separately. After diving head first into this salsa with a bag of Trader Joe’s new gluten-free blue corn tortilla chips a couple days ago, I can tell you that you won’t mind having a little extra on hand. The salsa has the texture of a blended salsa that you might find at your favorite Mexican restaurant. Because of the garlic, sun dried tomato, and basil, it feels a bit like you’re just eating marinara sauce cold–maybe I should have tried that sooner, because it totally works. 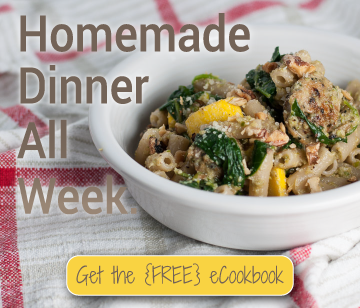 Hey, you could even warm it up and serve it over your favorite pasta, some spaghetti squash, or pan fried eggplant slices (there’s a recipe for those in my eBook). Of course it’s tangy, given the tomato base, but it also gets a ton of extra flavor from a quick, spicy, garlic-infused oil. Sun dried tomatoes really perk up the canned diced tomatoes, which enable you to enjoy this salsa year-round. Yeah, I tried to make some pico with the current autumn crop of on-the-vine tomatoes, and it looked fine, but it was mushy, waterlogged, and flavorless. Finally, roasted garlic plays on the garlic oil and adds a sweet counter to the acidity of the tomatoes, without a drop of added sugar. Alright, this one’s short and sweet (finally! )–quesadilla recipe coming tomorrow! Also, if you know the answer to whether sun dried is actually one or two words, do let me know. I tried to be consistent throughout, if incorrect. 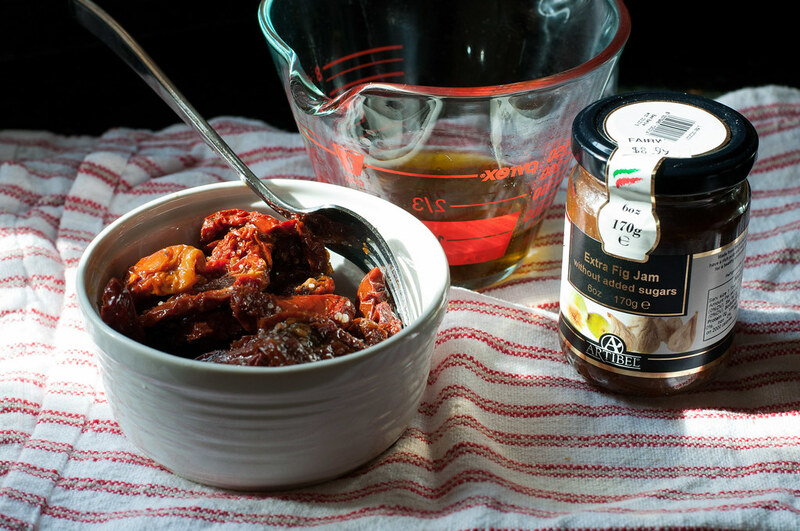 Sun Dried Tomato and Roasted Garlic "Salsa"
Take your salsa to a new, Italian dimension. You can make this one all year round with canned diced tomatoes, which get a boost from the concentrated flavor of sun dried tomatoes, sweet roasted garlic, and fresh basil or pesto. To roast the garlic and onion, preheat oven to 400 degrees F. Remove the loose outer sheath from a head of garlic, then cut the top off so all the cloves are just exposed. Place head on a sheet of foil, rub cut cloves with a teaspoon or two of oil, then wrap tightly in foil and place on the baking sheet. Place the onion round on the same baking sheet and coat each side with a little oil. Roast in bottom third of oven for about 45 minutes, flipping the onion over halfway through, and watching to make sure it doesn't burn. When the garlic is done, the exposed tops of the cloves should be light golden brown. Remove garlic from foil to cool, then squeeze from the uncut end of the head to push the cloves out. While the vegetables roast, make the oil. Heat 3 tablespoons oil in small saucepan over medium. Add minced garlic and red pepper flakes, and cook for a few minutes, stirring, until garlic turns golden brown. The garlic should sizzle as it cooks--if not, turn up the heat. 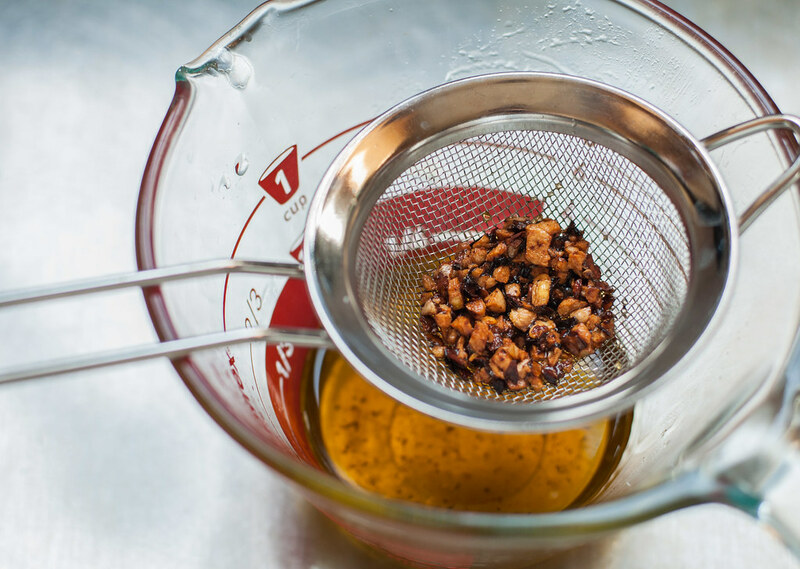 Immediately remove from heat and pour through a fine, heat safe strainer into a glass bowl or cup. Refrigerate to cool quickly. 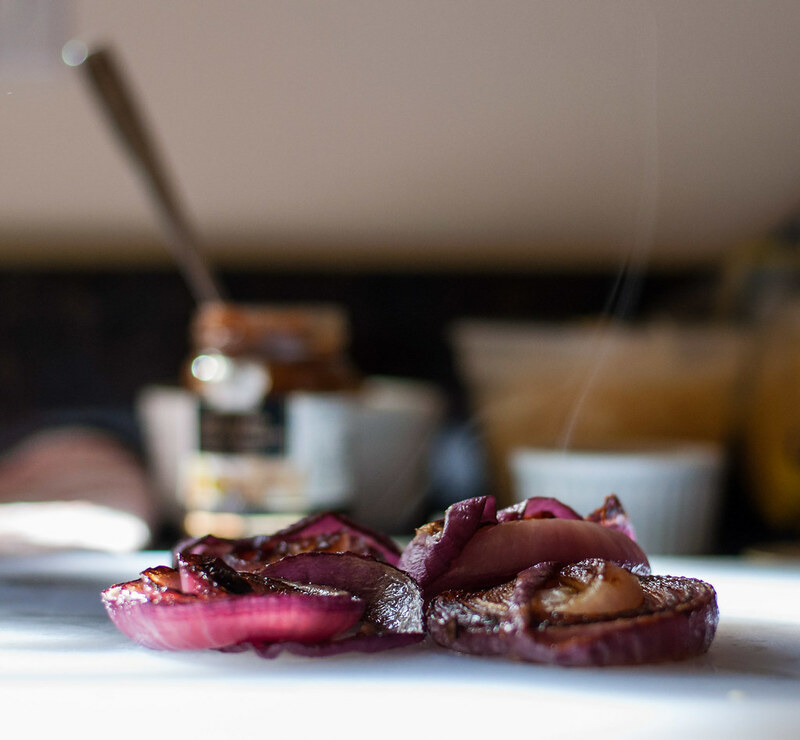 Coarsely chop the roasted red onion and sun dried tomatoes. Combine both in a food processor with 8 cloves of the roasted garlic, the cooled oil, and ½ C of the diced tomatoes (this will give the processor something to grab onto) and process for a couple minutes, until smooth. Add remaining diced tomatoes and basil leaves and pulse a few times, briefly, until it resembles a sauce with some coarse texture. Stir in lemon juice, salt, and pepper to taste. Refrigerate until ready to use. Serve cold with quesadillas or as a dip. 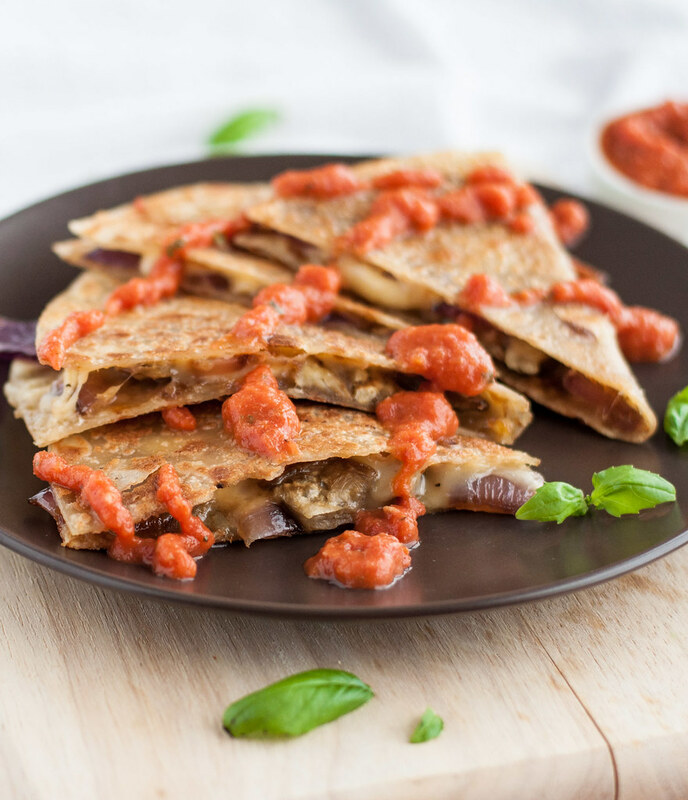 If you make the salsa alongside my eggplant gouda quesadillas, you'll roast the garlic and onions along with the eggplant. 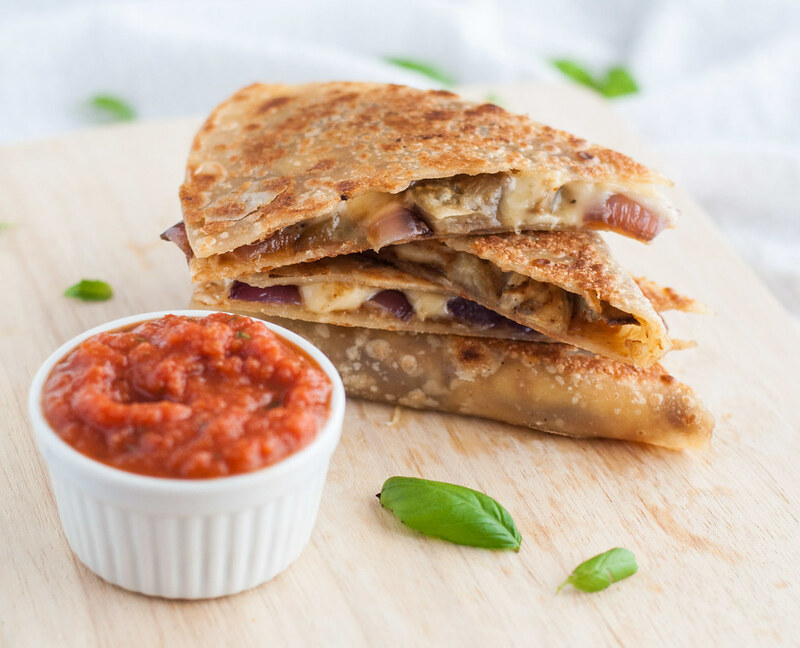 See the quesadilla recipe for details. I tested the salsa in a food processor, but it should work in a blender as well. To substitute for fresh basil, use a scoop of pesto. This may render the recipe not vegan, if your pesto contains cheese. I was stunned at the difference in ingredient lists between organic and conventional sun dried tomatoes. I have both, and the conventional is full of at least 5 unpronounceable ingredients, including glucose syrup. Whole Foods makes an organic, store brand jar that isn't too spendy and contains no suspect ingredients. Word nerd moment: Sun-dried is generally hyphenated, to show that “sun” is the adverb of “dried”. Tomatoes is the noun, dried is the verb, and sun is the adverb that describes the manner in which the tomatoes were dried.